To learn what their fiscal advice is. In a scathing guest post in the Big Picture blog, financial fraud expert Bill Black despairs that so many economic advisors with track records of enabling "green slime" in the banking sector are unrepentantly pushing the same policy prescriptions. "Romney's lead economist urges policies that will cause the next financial crisis" is Mr. Black's headline. He singles out Mitt Romney's lead economic advisor (and George W. Bush's erstwhile lead economic advisor), Greg Mankiw, for special criticism. Prof. Mankiw's latest New York Times column extolls the virtues of governmental competition in the regulatory sphere, when there is ample history to show that such competition devolves to a "race to the bottom" leading to a lax regulatory environment that invites criminality. The most famous example is of course the savings & loan crisis of the 80's. Full disclosure: Prof. Mankiw and his famous graduate student Jodi Beggs gave Dr. 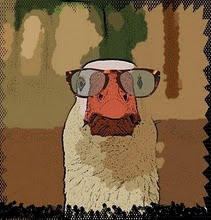 Goose his first big break in economic show business.